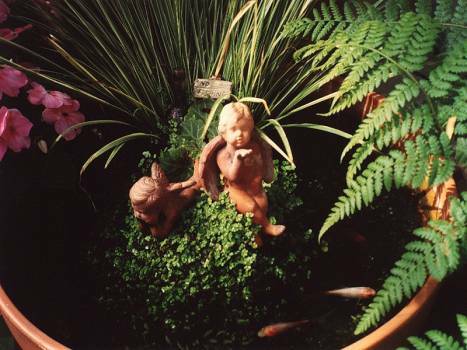 Once large pond in the Oriental Garden had been removed it was necessary to find a new home for the goldfish, if only temporarily. 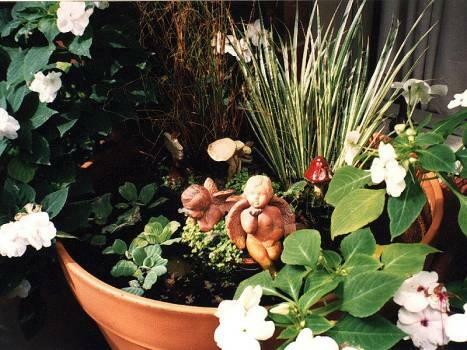 Two very large garden tubs were scrubbed out and converted into fresh, new homes complete with water plants and cherubs. This turned out to be an extremely good idea as the goldfish were now much easier to tend and also to see, a big plus for the smaller members of the family.